"On The Cusp", an event recently held in Hamilton, turned a spotlight on Hamilton's ongoing inability to engage in the fundamental transformation it needs. On Thursday, May 3, the Hamilton-Burlington Society of Architects (HBSA) held an event called On The Cusp. Its theme: "We've been talking about the potential of downtown Hamilton for years. What do we need to do today to realize it?" The event's keynote speaker was Ken Greenberg. Greenberg is an architect, urban designer, and author of Walking Home, a book about urban renewal that illuminates Greenberg's "passion and methods for rejuvenating neglected cities". The event was held at the soon-to-be-demolished Hamilton-Wentworth District School Board at 100 Main St. W., and the house was packed. "People became infatuated with the automobile," he explained. "They wanted a separated work and home life, and they started living in auto-dependent communities. These cities were totally different from the cities we inhabited for millenia." Cities are now undergoing a second transformation, which Greenberg dubbed a "hangover" from the first transformation. He believes this transformation is as profound as the one that took place during his childhood. Before World War 2, cities were dense, active communities. Greenberg, who lives in Toronto, displayed a map of Toronto with a dotted line overlaid on it, describing the path of someone starting downtown and walking north up Bathurst Street. As this person walks, they travel through "concentric rings of time", starting with the original city of Toronto and then traveling through suburbs that were built in later decades. At the beginning the street life is active, dense, and connected. Later, the environment becomes bare, inhospitable and car-dominated. This journey is identical to the journey along James Street in Hamilton. You begin in a dense, urban, attractive environment. As you travel south the environment becomes increasingly more sparse and car-centric until you arrive in the parking-lot dominated landscape of Upper James near the Linc, a part of Hamilton with the vitality and charm of a moonscape. James St. S, downtown Hamilton. Image Credit: Google Streetview. Upper James St. between Fennel and Mohawk. Image Credit: Google Streetview. Upper James St. near the Linc. Image Credit: Google Streetview. Logically the next phase ought to be a form of urban environment where everything is paved - an endless expanse of asphalt dotted by buildings placed at great distances from one another. This would transcend the concept of roads and parking lots by merging the two into a single unified paradigm. In other words, the new Centre Mall. In 1996 Greenberg participated in the Downtown Ideas Charette, which was also held by the HBSA. "A lot of the ideas that we discussed in that charette are many of the ones that we are still on the cusp of realizing," said Greenberg. "When I look back on the material that came out of that charette, there was a set of powerful integrated ideas that still make sense." Hamilton still has its strengths, but it also still has many fundamental problems. For example, "the traffic issues, with huge arteries going through the city, are still there and need to be dealt with". From Greenberg's viewpoint, Hamilton is succeeding and failing at the same time: "you are both sucking and blowing," he remarked to laughter. There are pockets of success like James Street North, but losses in other areas and continued problems on streets like Wilson. 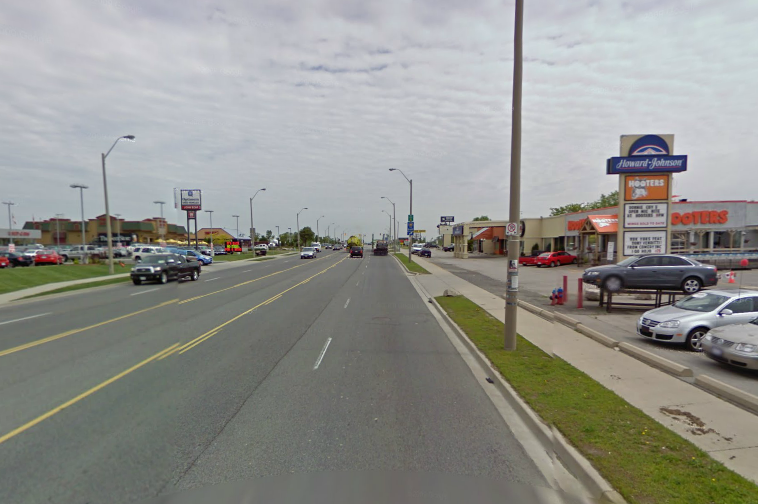 Hamilton is still committed to low density sprawl, and this carries risks for downtown revitalization. "If you divert your potential into areas that feed the old paradigm as opposed to the new, you're really tying your hands behind your back." I sensed that Greenberg felt many of the solutions to Hamilton's problems were rather obvious, and where they were not, had already been examined in detail. I kept expecting him to exclaim something along the lines of, "Come on Hamilton, it's really not that complicated!" But perhaps that was just my own frustration bubbling to the surface, an emotion I felt doubly when he described the innovative approach to transformation that was undertaken in Saint Paul, Minnesota, which now proudly describes itself as "The most livable city in America". As Saint Paul embarked on a deliberate process of transformation and revitalization, city staff were seconded from their offices and forced to work together in shared offices with other staff from many different departments. The process brought together people with varied specialties who were not normally used to working together. The public was also invited to participate and contribute ideas during the process, which saw city staff become passionate about a shared vision for the city that they brought back to their offices to turn into reality. It's the kind of radical and yet common-sense idea that could work wonders in Hamilton where too often the concerns of a single department (e.g. traffic) trump others. Simply put, it's about teamwork and balance, a concept neatly summed up by Greenberg when he said, "You don't want to optimize one thing at the expense of others. You want to sub-optimize everything in order to create an optimal whole." As I drove down Upper James today, those words rang in my head. "Sub-optimize everything in order to create an optimal whole." That's not happening in Hamilton. After Greenberg's keynote four panelists were invited to join him on-stage for a discussion. They were Terry Cooke, president and CEO of the Hamilton Community Foundation; Jeff Paikin, president of New Horizon Homes; Mary Pocius, tireless downtown advocate and past executive director of the International Village BIA; and Lloyd Alter, professor of sustainable design at Ryerson University School of Interior Design and editor of the Design section at treehugger.com. I won't dwell on what was discussed during the panel, partly because I stopped taking detailed notes, and partly because some of the commentary tended towards the optimistic boosterism that I'm concerned might be reducing some of the urgency Hamiltonians ought to feel about the current situation. Notable exceptions to this were Lloyd Alter (read his take on the event here) and Terry Cooke, who delivered an impassioned blast of the status quo. "I'm not that optimistic," said Cooke. "Only once in a generation do you have an opportunity to do something like LRT." Lamenting the glacial pace of change, he pointed out that Hamilton is the "only post-amalgamation city that doesn't have an official plan, and that has a zoning bylaw in the lower city that dates back to my birth." "In 2000/2001 we did an incremental pilot project of converting John and James to two-ways," said Cooke. "It's been totally successful. Why we haven't seen our way through to getting rid of the five-way expressways in our city defies comprehension." His frustration was both evident and well-received. I could murmurs of assent throughout the auditorium. My voice was among them. There is no question that things are improving in Hamilton, but we are like a race car driver who is steadily falling behind the pack that keeps pointing out that their overall speed is greater than before. They fail to notice that everyone else is accelerating faster than they are. Gradually, cities are converging on the correct way of transforming themselves. Those transformations have unlocked thousands of jobs and billions of dollars in investment in places like the King and Spadina neighbourhood in Toronto. Those transformations are taking place in cities across the globe, even those who once had much in common with Hamilton. People like Ken Greenberg have helped those transformations along. They know what Hamilton needs to do. Sadly, I still don't think we're really listening. I think yourself, Terry Cooke, Alter and others are being a bit too critical of things. You have to look at the bright spots happening and enjoy what is here. We are probably the equal in culture to Paris, Melbourne, Toronto, Vancounver and New York. Vibrant life is what you make it really. Uhm... no. Deluding ourselves is not going to help. Hamilton has so much to work with to create a modern city — historic buildings, neighbourhoods, large street grid, interesting geography, plentiful space for infill. That makes it all the more disappointing to see how little Hamilton is doing to become a city for people. Adrian, I was there too. While I found Ken Greenberg's presentation, as well as the comments from the panel, interesting, I couldn't help but feel disheartened by the context of the whole thing. Sitting in a building soon to be flattened because of short-term, shining new object myopia on the part of too many so-called leaders; a standing-room-only crowd of converts; no politicians in sight; lamenting our inner city highway system; making way too big points out of way too small examples of progress (James North revitalization, etc.). All of these made me feel that time is slipping away and we are not implementing the kind of significant changes many people can see need to be implemented. I'm happy to be a booster. I'm happy to feed the hype machine for a national newspaper story, or a travel journalist, or a potential out-of-town investor, but really, when will we make really significant progress? When will we stop relying solely on the efforts of like-minded individuals? I love change from the grassroots, but at some point you need to look to your leaders to build on the efforts of individuals. 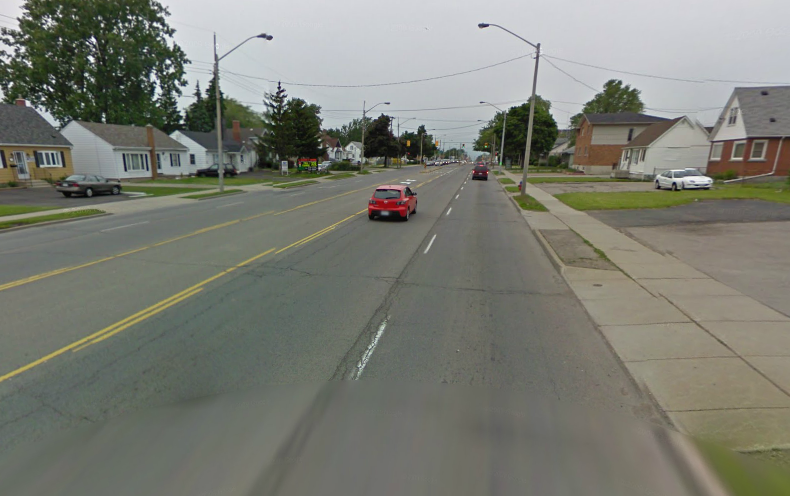 Two way street conversion is an obvious one, not only to the experts like Ken Greenberg who visit Hamilton, but also to many resident urbanists. It's implications are gigantic. City altering. Like many others, I will continue to make my contribution, such as it is, no matter what happens at other levels of government, but I really want to see some true leadership at the top. I'm getting pessimistic as I get older. I don't like that fact. I try to think and believe in thoughts of the greater good and in thoughts of making the good greater. But boy oh boy, it really is tough sometimes. Like it is right now. Colour me a temporary pessimist. we need a change in the regime of our politicians. their vision of this city is in the past, and will continue to be until they are ousted... and the new generation takes over. only question is.... when will WE make this happen?! in my opinion, thats step #1! I hear ya Adrian and Graham. I think I might have to take events like this off my calendar for my own sanity. I love hearing from great speakers - my organization is even guilty of adding to the fray by bringing Kuwabara and the late Jim Green to our community for a chat about seizing potential in the core. While the audience seems to strong, we are the converted. I also found it a little disturbing how much talk focused on the ability of the new comers to Hamilton to change the scene. Somehow it felt that the implication was that long-time local residents have sat in a stupor while our city has fallen apart - that we have no ideas - no ambition. For those who have been working hard that hurts. While I'm not going this year I'll look forward to your coverage of the Economic Summit Adrian. Boosterism awaits you. Media relations and marketing for the "beefed up" Economic Summit are being handled by Continuum Productions, the same "professional events company" that manages the Careport Centre and which partners with Metroland on its annual Southern Ontraio Liquidation Super Sale. Metroland is of course the parent company of the Spectator, and also the contractor responsible for producing the Hamilton Chamber of Commerce in-house publication Panorama. The Chamber is a key driver on the Summit and it is also an organization with a well-documented history of executive linkages with the city's transportation sector, which frankly calls the organization's commitment to walkability issues into question. I have been thinking about that focus on newcomers as well, and it was a bit depressing to hear it from the panelists. Swaying decision-makers to take concrete steps to revitalize the downtown will take outsiders plus public education and awareness campaigns of our existing population. Yet it is hard to generate momentum in the absence of an impending decision, such as a stadium location. So in the end I do think our proximity to Toronto will be what 'saves' the downtown, but we will only attract migrants from other cities if there are good nuggets to build on. They don't want to start from scratch. So it will take both. I'm afraid you'll be waiting a long time, since I'm not going this year. @RPMoran was kind enough to agree to represent the company at the Summit (actually, he had already decided to go), which is probably a good thing for my blood pressure. Seems to me that the trick is reaching beyond preaching to the converted. These events seem to bring in those who are already convinced of the value of the cause and the wisdom of the measures and strategies required to get there. The shortfall is in broader public engagement. This seems to be particularly true of charettes, which tend to occupy a very narrow bandwidth. Hamilton has always talked a good game. That has never been the problem. Solutions for what ails the city have bubbled up from every Tim Hortons in the city for 40 years or so. Over at City hall, they are hip to the trends and up on the buzzwords and postures required of with-it policy makers in the 21st century. They can vogue with the best of them. But in general, we're happy to settle for that. We celebrate our most mundane achievements, invest them with significance disproportionate to their real-world importance, and rout critical engagement in favour of universal boosterism and the belief that there's nothing that next-gen marketing can't solve. I will echo the disrespect shown to those who have been working for change over the long term. There is often the perception among newcomers that those who went befgore lacked for something, whether an evolved appreciation of urban dynamics or work ethic. None of which is, strictly speaking, true, but it is common for the newly converted to be full of piss and vinegar. It is easy for someone who has arrived here in the last two or three years to shake their head at what they see as a populace that has become ground down and dispirited in the midst of so much potential and opportunity. I am not disputing the mojo of insurgent money and cultural values, though there is a risk of Hamilton defining itself around transplanted urban aesthetics, which is arguably a variation on the "second city" inferiority complex: Hamilton will have turned the corner toward actualization when it can lay claim to a Smoke's Poutinerie and a Burrito Boyz and a handful of commercial blocks with a superficial resemblance to Queen West or Parkdale. And it is easy for those who arrive in the hyper-networked world of today to tsk-tsk, but I wonder how many of today's I Heart Hamilton cohort would have the passion to slug it out in the trenches without being able to connect via cell phones and social media 24/7/365? Even five years ago, this was not the case. I'm not questioning the role or value of that ecosystem, but real change requires more leverage than a hot hashtag. Voicing these thoughts is perhaps part of the problem, but candour is required if we are to move forward. It also needs to be said that this movement needs to draw on the energy and expertise of all corners of the city. 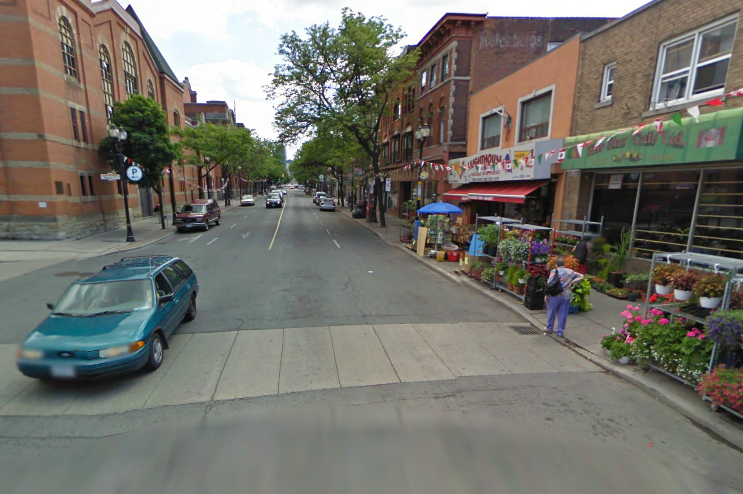 Downtown renewal can't simply be a Ward 2 concern, or a Ward 1-3 concern. If that continues to be the case, in 2027 we'll be having a Cusp Plus 25 Memorial Charette on the former site of another landmark. Not to worry, though: There'll be plenty of parking. "I wonder how many of today's I Heart Hamilton cohort would have the passion to slug it out in the trenches without being able to connect via cell phones and social media 24/7/365?" I doubt very many of us. Fortunately, that's the environment we find ourselves in, and it's unquestionably good for the city. As for Adrian's point about other moving faster than we: it doesn't matter. Not to me, hopefully not to anyone. This isn't a race, this is about making Hamilton a better place to live for those who live here. We shouldn't waste time, but we don't need to save it either. What makes it a race is that more people will move to cities which do a better job of becoming great places to live. When more people move to dynamic cities they get even more dynamic, while other cities that don't develop stagnate and fall behind when people get fed up and leave. Cities are either growing or declining, they're not steady state. I love Hamilton. I moved there to go to McMaster University in 2006 and lived in little pockets of the city surrounding the campus (near Ancaster, in Westdale, on Locke St.) for five years. I only moved out when the commute to Toronto became unbearable. It broke my heart a bit to leave the city I love so much, but the commuting was a strain on both my financial state and physical health. Hamilton rent may be appealingly low, but the combined price with Go Transit fare, gasoline, and HSR fare (depending on where in Hamilton you choose to commute from) adds up to equal the rent of a one-bedroom place in Toronto. Except a place in Toronto allows you to save all that time that would've been spent commuting by actually venturing out into the community and appreciating arts and culture. I think a major contributor to livening up the city would be to improve the transit infrastructure within and into Hamilton. If you can't mimic the job potential of Toronto (and that's okay - nobody is expecting Oakville or Ajax to replace or mimic Toronto's workforce either) then please make it more commuter friendly. Having to take a City Bus to catch a GO Bus to catch a Train is a bit too much for lugging my lunchbag and work laptop and bored-commuter accessories around.